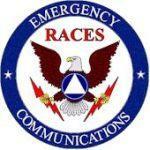 Welcome to the Wyandotte County / Kansas City Kansas Radio Amateur Civil Emergency Service (RACES) website. This site will be used to keep members informed, and attract a broader audience. We'll use this site to get the word out on our organization and create a better sense of community among our members. We'll also include pictures of our work and members. Please click on the link below for the Hazardous Weather Outlook. In an adbundance of caution due to the weather forecast the Severe Weather Seminar had been cancelled. We are working to reschedule the seminar. Wyandotte County Radio Amateur Civil Emergency Service (RACES) provides communications and technicial support to the Wyandotte County Emergency Management Department. Click here for our RACES brochure. Click on the link below for the latest version of the Digital Communications Guide.